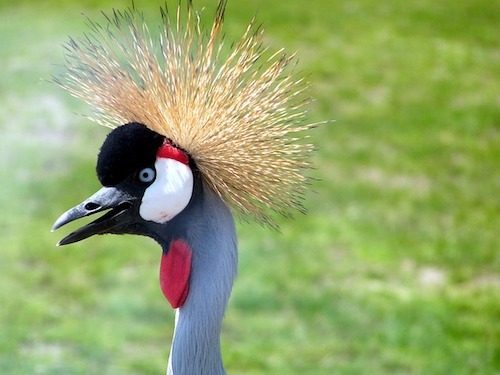 Today we list the 12 oddest birds in the world. There’s ugly, beautiful, unusual, and just plain weird! Graceful, elegant and shy, who can resist a beautiful bird? 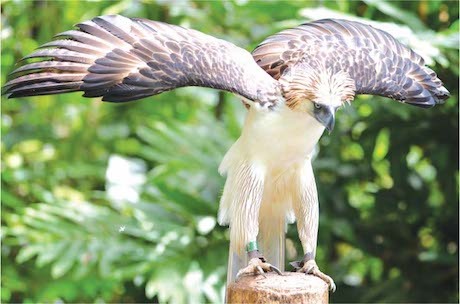 Have you seen or even heard of the Christmas Frigate, Philippine Eagle, or Kagu before? No? If you’re a bit bored of the common garden sparrow or blackbird, there are lots of interesting and strange-looking birds that can be found around the world. Read on to find out more about these crazy but cool creatures! From the Oilbird to the Hoatzin and Sri Lankan Frogmouth, we uncover the world’s weirdest birds. Whether it’s the beauty of a bird in flight, the ruffle of its’ feathers or the awe of a bird of prey in descent, there is always something to admire when it comes to birds. With toothless beaks, hard-shell eggs, four-chambered hearts and lightweight skeletons, birds come in all shapes and sizes. So how do you classify a bird? What makes a bird- a bird? According to iucn.org there “are approximately 10,000 known bird species” in the world today. That is an enormous range of different types of birds! They may all look completely individual – some strange, others interesting and a few that are really cool – but there are some things that are the same for every bird. Light skeletons: Despite their different sizes, all birds have a skeleton that is very light, so that they can fly. Every bird skeleton has lots of gaps and air sacs in it so that the bird can be as weightless as possible when flying. Feathers: Although they may do various extra jobs, every bird has feathers do to help them stay warm. 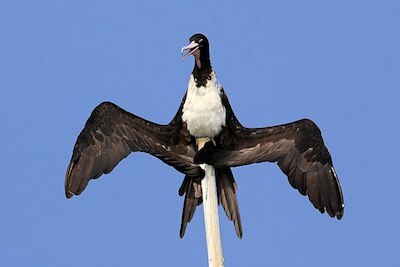 Additionally, some birds’ feathers help them in other ways too, such as, to fly better or look attractive. Wings: It is easy to forget that there are a number of birds that cannot fly, however, every bird has wings of some sort (flippers count as a type of wing too). Birds that can’t fly still use their wings for other things, such as scaring away predators or swimming. A wishbone: It is almost magical to think that hidden away inside their chests, all birds have a specially shaped bone, called a wishbone, that keeps their hearts and other major organs in that area safe during flight. Other features that all birds share are: two legs, young that hatch from hard eggs, a heart with four chambers to help them during flight and the ability to create their own body heat, which means that they are not affected by changing temperatures around them. You can find out about the world’s fastest birds in our last article. So back to the original question – what are the world’s weirdest birds? 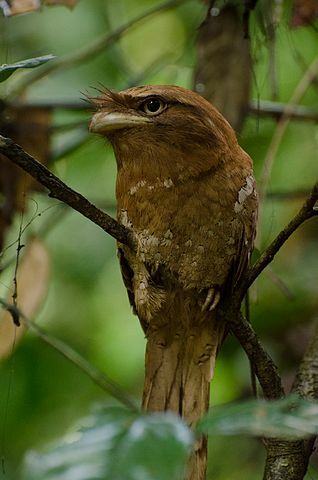 Ready to find out about the Oilbird, Hoatzin, Sri Lanka Frogmouth and other strange birds? A master of disguise, the little Sri Lanka Frogmouth can easily be mistaken for some dry leaves! Hidden in the forests of South India and Sri Lanka, this nifty bird has a plume that looks like old leaves, which means that it remains pretty safe and is known to return to the same spot to roost for months on end. Largely nocturnal, if it senses danger, it boosts its’ camouflage abilities by turning its’ beak upwards so that it looks like a bit of branch sticking out- and will stay like that for a really long time, until it feels safe ! Female Frogmouths are known to have a strange shrieking call that can be heard very loudly, in the evenings – and ends with hiccupping! Taking their name from their home on Christmas Island in the Indian Ocean, these sea birds can be found catching fish during flight or – if they can’t be bothered (pass the sick bucket), bugging other birds to regurgitate their most recent meal! This clever bird is the only parrot that likes to live in a tough mountain habitat on New Zealand’s South Island. The Bear Grylls of the parrot world, keas are known to be really good at solving puzzles and challenges, which is why they are able to live in such an unforgiving environment. They have been known to figure out how to find food hidden within challenging puzzles and create their own equipment! Taking their name from the palm oil that they feast on, oilbirds are nocturnal and use sound to find their way around, like bats. Their call is an unsettling high pitched squeak of 2 kHz. Found in the caves of Trinidad and South America, oilbirds live in large groups and make their nests by gathering droppings into a pile! 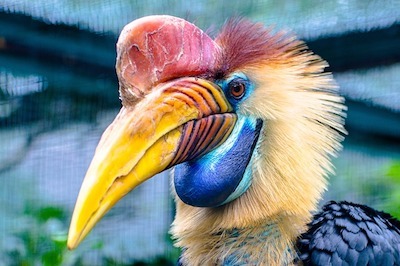 A big bird with a casque on its head which looks like a helmet, the Helmeted hornbill would be a fiercesome bird to come across in Sumatra, Borneo or the Malay Peninsula. Territorial, the Helmeted hornbill uses its casque when fighting with other male hornbills that step onto its land. It is rather weird to learn that such an aggressive bird likes to eat fruit! On occasions, Helmeted hornbills also use their casque to force minibeasts out of dead wood for food. Only found on a little French island in the Pacific Ocean – to the east of Australia- the kagu (sometimes known as cagou), could easily be mistaken for another animal, because it prefers the forest floor to the air, even though it lives in the mountains! With bright red legs, a grey plume and strange nasal corns – it is almost unable to fly! Instead, you can find it on the ground, even when it is looking for prey or asleep in it’s nest. Not surprising then, that it is the last member of it’s species, which are almost extinct. On the other hand, Kagus sounds very reasonable in nature because kagu mums and dads share responsibility for looking after baby kagus. The Egyptian Vulture has a very unusual, chunky tail. With a preference for warm climates it can be found anywhere between India and North Africa. In what could be seen as rather unkind behaviour, it is famous for its love of throwing pebbles to crack the eggs of other birds, and eating them. An industrious bird, they clearly like their creature comforts, because they also line their nests with wool that they have rolled up – using twigs! You can’t keep a California Condor down! These huge birds became extinct in 1987, but have managed to claw their way back! Found in North America they have a wing span of an incredible 3m and can live for up to 60 years – which is totally unusual for birds. Super speedy scavengers, they can fly at up to 90 m.p.h., as high as 4.6 k.m. into the sky! Not surprising then, that they like to roost far up in the cliffs of the North American mountains. The national bird of The Phillipines is a bit of a shaggy bruiser! Weighing in at up to a whopping 8 kg and growing up to 1.02 m in height, this is one of the biggest birds in the world! Incredibly, despite its size, it can fly really fast. It is a striking bird to see, with an unusual shaggy brown mane. Young Philippine Eagles are left to figure out hunting for themselves, so they have been seen to do hilarious things like, attacking stationary objects, trying to hang upside down and sticking their heads in tree holes! In danger of becoming extinct, deforestation sadly means that it is finding it increasingly difficult to find enough forest space to safely call home. The punishment for killing a Philippine Eagle is a 12 year prison sentence! If Marvel created a bird, it might take some ideas from the Hoatzin! Sounding more like a superhero, Hoatzin chicks have claws on their wings! The skunk of the bird world, Hoatzins are known to have a very odd, unpleasant smell, a bit like manure! Making its home in the marshlands of the Amazon Rainforest and South America, hoatzins do not possess the same swift movements of many of their fellow birds, instead, they are said to lumber around the forest eating a massive variety of leaves, as well as the occasional flower or fruit. Even more unusual is its strange appearance, it has a long neck, small blue face, spiky crest- and weirdest of all – deep red eyes! A competitive bird, the King of Saxony, that live in New Guinea, are famous for their singing competitions! Males try to out sing each other whilst wiggling their two long plumes, that can be up to half a metre in height! Strangely, unlike the colourful male birds of paradise, the poor female King of Saxony is a rather plain light brown! 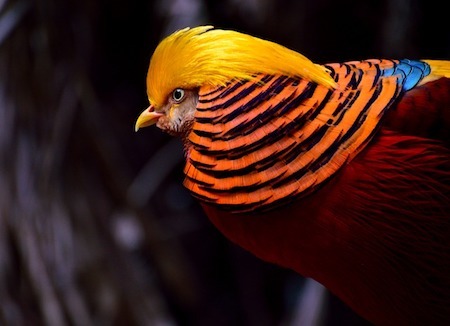 If you want to find a bird with a strange tail, you would be hard pressed to find anything more impressive than the tail of a Golden Pheasant. This pheasant can lift up its wings until only its eyes can be seen and it looks like an orange and black fan! With bright red feathers and a golden crest, the sight of a Golden Pheasant with its wings on display is something to remember! Truly, some of the weirdest behaviours around! These strange birds may well have left you with a new fondness for the quiet little sparrows and blackbirds that you are more used to seeing – although it’s always interesting to know that there are lots of unusual birds hidden away in the forests, mountains and jungles of the world. Do you agree? Did we miss any weird birds out? Or have you come across any other strange members of the animal kingdom? Share your thoughts with us- we would love to know! Make sure you follow us on Facebook to see posts like this on a daily basis!